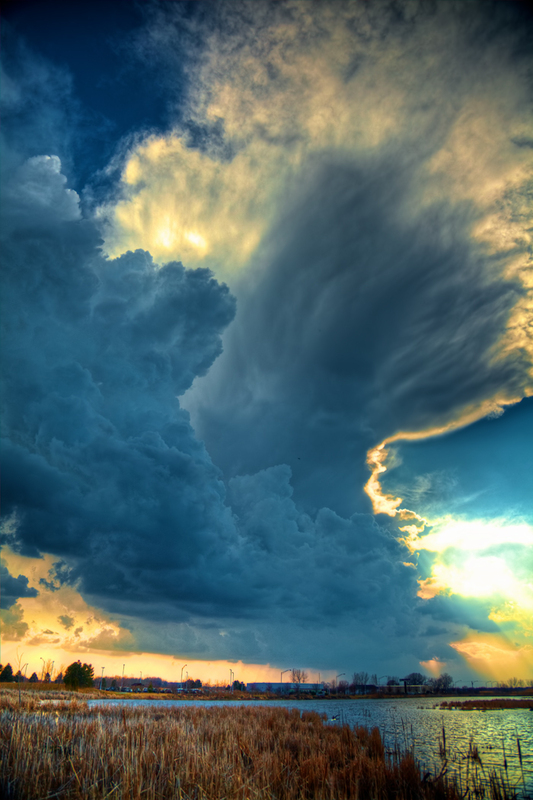 Storms developing across the Midwest on Friday, March 23, 2012 (click for full version image). This storm cell is approaching Schererville, IN heading north towards Chicago. The shot was taken facing southwest as the storm moved almost directly north along the Indiana / Illinois border. I give permission for any news or weather agency to use this photo in any broadcast during the month of March 2012. Please credit the photo to Joey B. Lax-Salinas. Don’t forget to check out my photography page, including several other storm and weather photos and other photos taken from around the county! Check out the video below as the storm rolls in! Later on the same night, The Weather Channel’s Jim Cantore and Dr. Greg Forbes used my video footage as the talked about the storms moving in towards Chicago! See the video below! 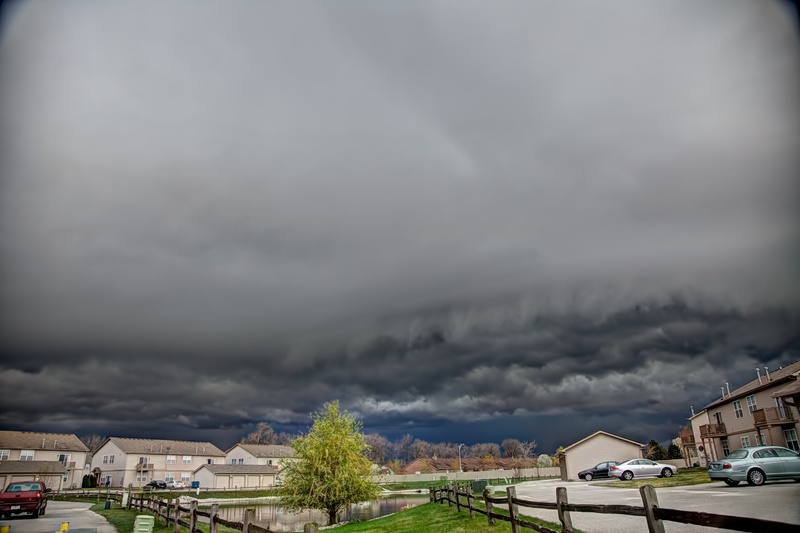 This is a photo of a storm cell as it was developing over Matteson and Richton Park, Illinois near Sauk Trail and I-57. This photo was taken on March 15, 2012 at about 5:00pm. Matteson Storm Cloud by Joey B. Lax-Salinas is licensed under a Creative Commons Attribution-NonCommercial-NoDerivs 3.0 Unported License. Permissions beyond the scope of this license may be available at http://www.joeyblsphotography.com. The Union Station building on Broadway just north of 4th Street in downtown Gary, Indiana has been abandoned for decades and still sits today, crumbling between the railroad tracks and the Indiana Tollroad. This once beautiful building loaded and unloaded passengers headed to and from Chicago and east towards New York City. The ornate structure is seen in detail in the photo below. Gary, Indiana was once the center of economic development in Northwest Indiana as U.S. Steel began to grow and expand along the lakefront in the early part of the 20th century. Today, the population of Gary has dwindled down to only about a quarter of what it was only fifty years ago (approx. 80,000 residents). There is very little economy and the population continues to plummet. However, there is a glimmer of hope in Gary’s eye. Recently, a new administration has taken over in Gary. Newly elected Mayor Karen Freeman-Wilson is dedicated to doing something about the large number of abandon buildings that are crumbling throughout the City of Gary. One can only hope that something can be done to save some of Gary’s historical buildings, such as the Union Station building, which has a stone facade that is largely intact. While the restoration cost would likely be considerable, Gary needs a foundation to start on and a rich history to remember. 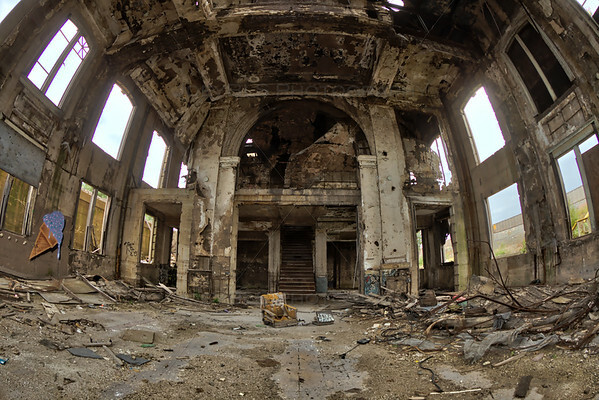 Gary, Indiana continues to be a dream for Northwest Indiana photographers and for many other photographers as well! Gary has been used in recent years in several films, including scenes for Friday the 13th that were filmed at an abandon church nearby in downtown Gary. Gary, Indiana Union Station by Joey B. Lax-Salinas is licensed under a Creative Commons Attribution-NonCommercial-NoDerivs 3.0 Unported License. Permissions beyond the scope of this license may be available at http://www.joeyblsphotography.com. 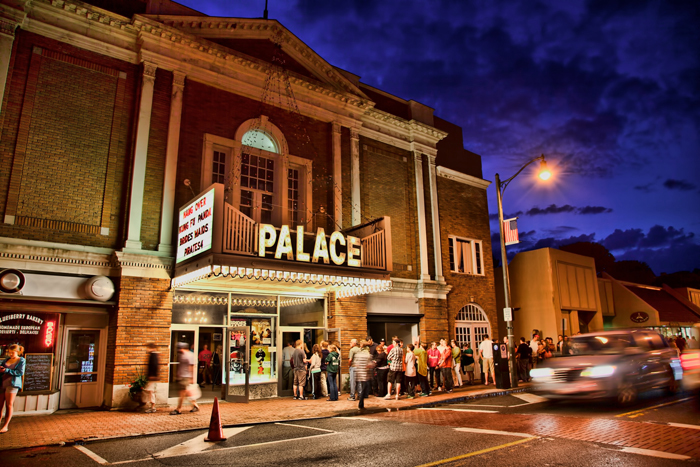 The Palace Theater in Lake Placid, NY was lit up and jam packed with people lining up along the street to see a movie. I snapped this photo quickly as Rose and I took a walk towards Mirror Lake. One thing that I enjoy about taking photos of movie theaters is that they can create an unintentional timestamp when you are able to capture which new movies are playing that night. On this night, it was Hangover 2, Kung Fu Panda, Bridesmaids and Pirates of the Caribbean 4. This photo was taken on a late May weekend evening in the Spring of 2011 while on our east coast road trip. Palace Theater in Lake Placid, NY by Joey B. Lax-Salinas is licensed under a Creative Commons Attribution-NonCommercial-NoDerivs 3.0 Unported License. Permissions beyond the scope of this license may be available at http://www.joeyblsphotography.com. Boats rest in the Newport, Rhode Island harbor near downtown Newport. This photo was taken in May 2011 as Rose and I were driving on our east coast road trip. After spending some time in downtown Newport, Rose and I had lunch at the Brick Alley Pub, took a drive along Ocean Ave and then headed north to Boston. Be sure to check out more photos of Newport, Rhode Island, including photos at the Newport, Rhode Island harbor as well as at the cliffs along Ocean Ave! Newport Harbor by Joey B. Lax-Salinas is licensed under a Creative Commons Attribution-NonCommercial-NoDerivs 3.0 Unported License. Permissions beyond the scope of this license may be available at http://www.joeyblsphotography.com. 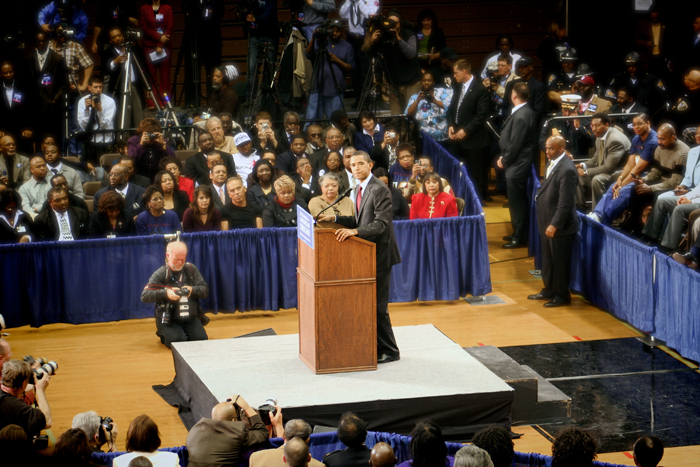 In April 2008, then Senator Barack Obama made a campaign stop at Roosevelt High School in Gary, Indiana as he made one of several campaign stops in Northwest Indiana before eventually defeating Hillary Clinton and winning the Presidential primary and then later the Presidential election in 2008. President Obama made several trips to NW Indiana during the 2008 Presidential campaign, including a stop at a Schoop’s Hamburgers in Portage and a stop at Munster Steel in Munster, IN and on Halloween, just days before the general election, I witnessed President Obama in Wicker Park in Highland give one of his last public speeches before being nominated as President-Elect of the United States of America. 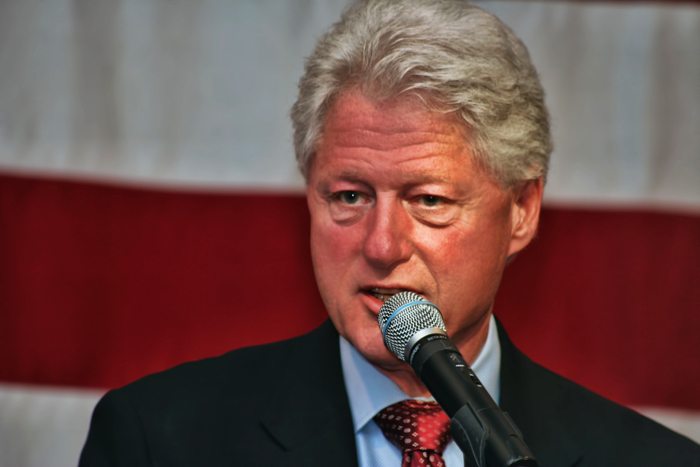 The 2008 democratic primary campaign was a heated battle between then Senator Barack Obama and Senator Hillary Clinton that lasted well into the months of June. During the campaign season, both candidates came through Northwest Indiana visiting prospective voters in the upcoming 2008 Indiana primary election. 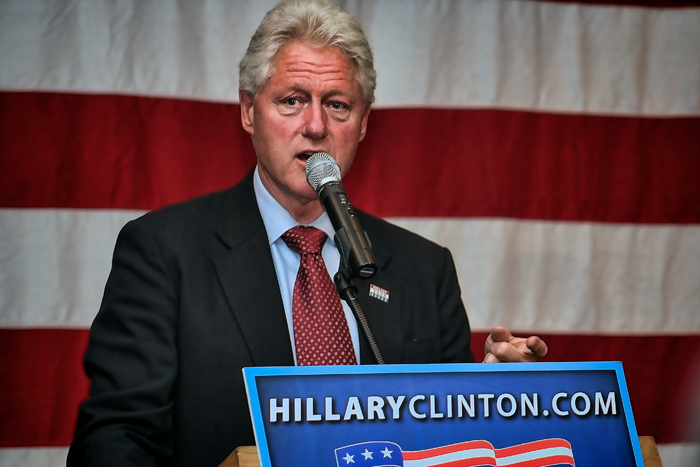 When this photo was taken, I had already seen Hillary Clinton at the Hammond Civic Center and in the next month would meet President Bill Clinton at Villa Cesare in Schererville after a brief speech while he campaigned for his wife, Senator Hillary Clinton, in May 2008. 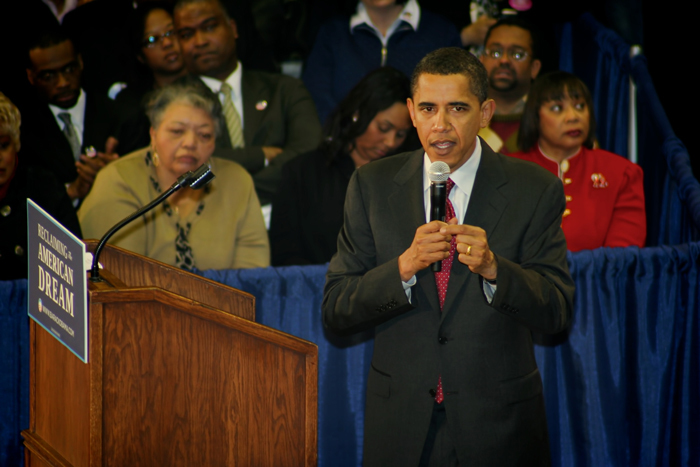 President Obama at Roosevelt HS in Gary, Indiana by Joey B. Lax-Salinas is licensed under a Creative Commons Attribution-NonCommercial-NoDerivs 3.0 Unported License. Permissions beyond the scope of this license may be available at http://www.joeyblsphotography.com. Downtown Crown Point, Indiana is one of the only communities in Northwest Indiana that actually has a commercial “square” with a courthouse in the middle. The photo above was taken of the east side of the square looking north. To the left and not pictured is the historic Old Lake County Courthouse, which was built in 1878 and today houses the Courthouse Shops. Downtown Crown Point, Indiana by Joey B. Lax-Salinas is licensed under a Creative Commons Attribution-NonCommercial-NoDerivs 3.0 Unported License. Permissions beyond the scope of this license may be available at http://www.joeyblsphotography.com. 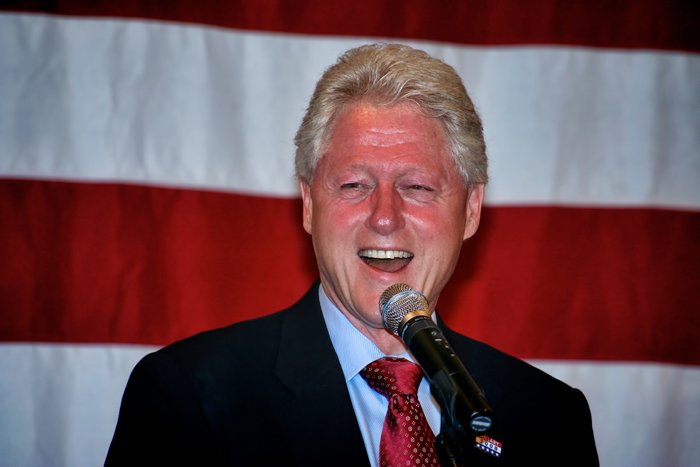 As the 2008 Democratic Presidential Race drew closer and closer between then Senator Hillary Clinton and Senator Barack Obama, former President Bill Clinton stumps for his wife, Senator Hillary Clinton, in throughout Northwest Indiana and made a stop in Schererville, Indiana at Villa Cesare. President Clinton spoke to a crowd of a couple hundred local NW Indiana residents and afterwards shook hands with those he could reach in the front (I was lucky enough to be able to reach out and shake President Clinton’s hand). All of the major democratic candidates made their way through Northwest Indiana during the 2008 primary season. The first political event that I attended was Hillary Clinton at the Hammond Civic Center which was in March 2008. 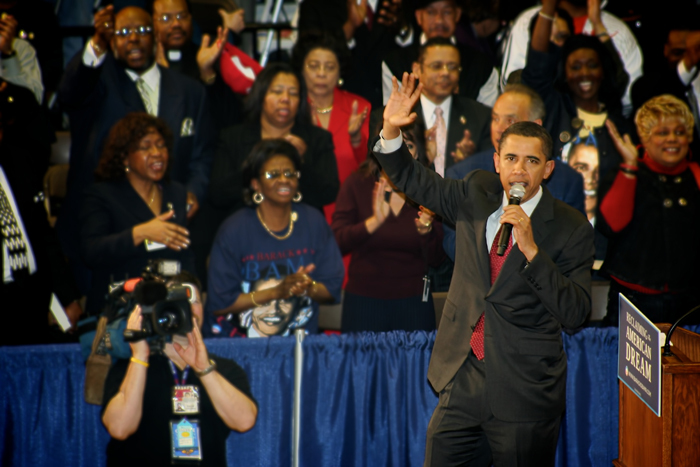 I also attended the speech of President Obama at Gary Roosevelt HS in Gary the following month as well a speech from President Obama in Wicker Park in Highland, IN on Halloween night months after the Indiana primary and days before the general election. Video clips to be posted soon! President Bill Cinton in Schererville, Indiana by Joey B. Lax-Salinas is licensed under a Creative Commons Attribution-NonCommercial-NoDerivs 3.0 Unported License. Permissions beyond the scope of this license may be available at http://www.joeyblsphotography.com. The City Hall building in Hammond, Indiana is located on the corner of Calumet Ave and Highland across the street from Hammond High School. Hammond is one of the largest cities in the State of Indiana and is the largest city by population in Northwest Indiana. Located in the far northwest corner of the state, Hammond is a suburb of Chicago, which it shares a border with on nearly half of it’s western border. To the north is Lake Michigan, which has nearly two miles of lakefront, some of which include a beach, but is also heavily industrialized and also is the home of Horseshoe Casino, the largest casino in Northwest Indiana. The current mayor of Hammond is Thomas M. McDermott, Jr., who is currently in his third term as Mayor of Hammond. City Hall in Hammond, Indiana by Joey B. Lax-Salinas is licensed under a Creative Commons Attribution-NonCommercial-NoDerivs 3.0 Unported License. Permissions beyond the scope of this license may be available at http://www.joeyblsphotography.com.